High quality accommodation for course delegates, business travellers and the leisure visitor too. 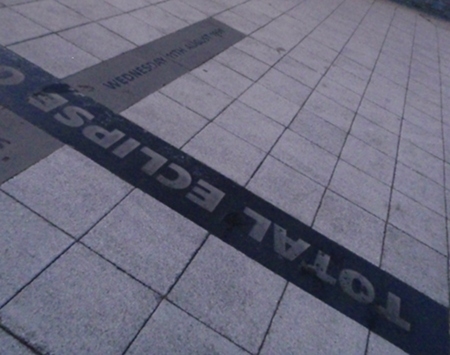 Walking along the seafront in Plymouth last night, I was delighted to see, set in the footway, a memorial to the day that we completed the purchase of our home in Melksham. At that time, "404" was uninhabitable - the only water coming in through a lead pipe to a tap; which wasn't over a drain, no loos, collapsing floors and ceilings. Clearly a "fixer upper" as the term goes. But - big project though it was, I hadn't thought that they would put a memorial to us in Plymouth. 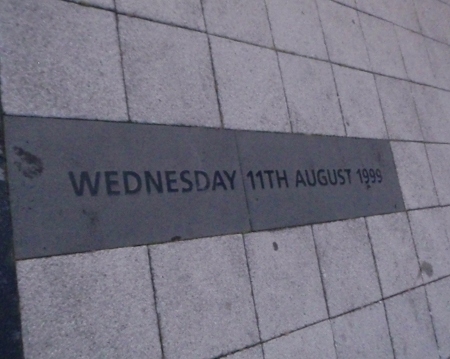 Looking a little further at the memorial, I realised that it was to something altogether larger than our exploits; 11th August 1999 was the date of the total eclipse. We were actually stood at the house that we had *just* completed the purchase of ... and it went very dark. The crows in the nearby rookery were flying around, perplexed at what appeared to be the early end of the day - an altogether eerie experience. What are numpy and scipy? Strong arm tactics in the bus industry? Poor result for the customer! Two trains a day ... how many fares to London? Guess! A busy day at Well House Manor - so come in and make it even busier! Ten more visitors to your premises every day? What is happening in 59 days time in Melksham? How big is a web page these days? Does the size of your pages matter? Vintage Bus Running Day in Warminster. An example of good bus practise. How many days to Christmas? Kennet and Avon - Walk from Bedwyn to Pewsey. TransWilts day out. Are there newspapers on New Years Day? Do the shops open on Easter Sunday? Do trains run at Christmas? TransWilts Link - Days out from Swindon to Weymouth? Night Porter and reception - 24 hours a day? Mothers Day or Mothering Sunday? Quiet summer days? I think not! Can you learn to program in 4 days? A two day gap - first time in five years? 10 training days to Christmas. Melksham or Weymouth? Meal or day out?